Mahul on the eastern fringe of Mumbai and close to the Trombay refinery hub is infamously called a village where the poor are sent to die. Mahul on the eastern fringe of Mumbai and close to the Trombay refinery hub is infamously called a village where the poor are sent to die. Once upon a time Mahul had been famous for its idyllic lush green setting and was inhabited by Mumbai’s original ‘Koli’ (fishermen) community. Speedy industrialisation and accompanying degeneration of the environment inflicted hazardous impacts on the mute and pathetically unorganized population. Mahul’s sufferings remained oblivious to most NGOs or social do-gooders until the initiative to highlight the village’s plight was seized by Bombay Catholic Sabha which with a few individual activists organized an awareness march at Mahul on 5 June Environment Day this year. 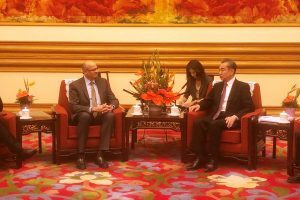 Mr Bento Lobo, secretary general of BCS said their efforts seem to be bearing results as authorities in the government and in the civic body have started taking steps to mitigate the villagers’ suffering and have assured their proper rehabilitation. In a conversation with The Statesman, Mr Lobo shared Bombay Catholic Sabha’s efforts with Watchdog Foundation and some NGOs and private citizens for rally for a better living environment for Mahul villagers. He informs that authorities are expected to consider a decent resettlement for about 20,000 villagers. It was, perhaps, the first attempt at lending voice to the poor suffering lot. Mahul needs basic infrastructure such as power, roads, schools and medical care centres that would require raising of huge funds which would not be possible without the help of the government and corporate donors. Organizations such as BC Sabha can only act as facilitators. Mahul needs immediate attention before it continues to expand into a bigger unplanned transit camp. SRA or Slum Redevelopment Authority, a state government planning and redevelopment body, can help bring about the desired change, says Mr Lobo. Proximity to refineries of oil marketing companies has virtually turned the place into a gas chamber. Breathing problems are common among children who die prematurely. Bombay Catholic Sabha has launched a awareness programme inviting attention of various authorities to Mahul that is in dire need of redress from sub-human living conditions. The task is daunting but an initiative has been taken as political parties have done little or almost nothing for the hapless villagers. Mr Lobo says that since BCS has around 50 units all over the city and suburbs, its members are aware of their surroundings and are alert enough to take up with authorities – whether municipal corporation, police or the government – woes, sufferings and even sensitive issues with local authorities. 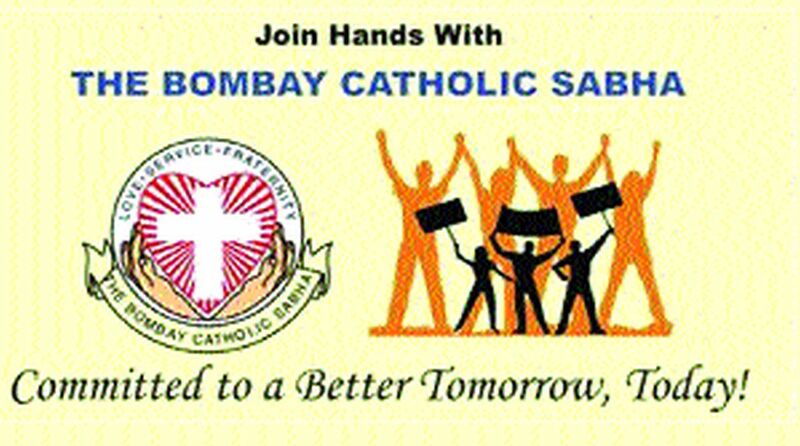 Bombay Catholic Sabha was founded in 1989 as a charitable organisation under the Bombay Charitable Trust Act and since then had admirably maintained its apolitical and cosmopolitan character that quintessentially is the identity of the commercial capital. BC Sabha is a laity, says Mr Lobo, affiliated to the All India Catholic body but has carved out a place in the city for maintaining its apolitical and cosmopolitan character. BCS enjoys highly credible reputation for its good work as well as its priority for religious harmony. Mr Lobo says the organisation holds regular inter-faith conferences to promote one of its noble goals. The Sabha runs a Aamcha Ghar in Uttan, a seaside village on the western outskirts of Mumbai that houses mostly girls and women.